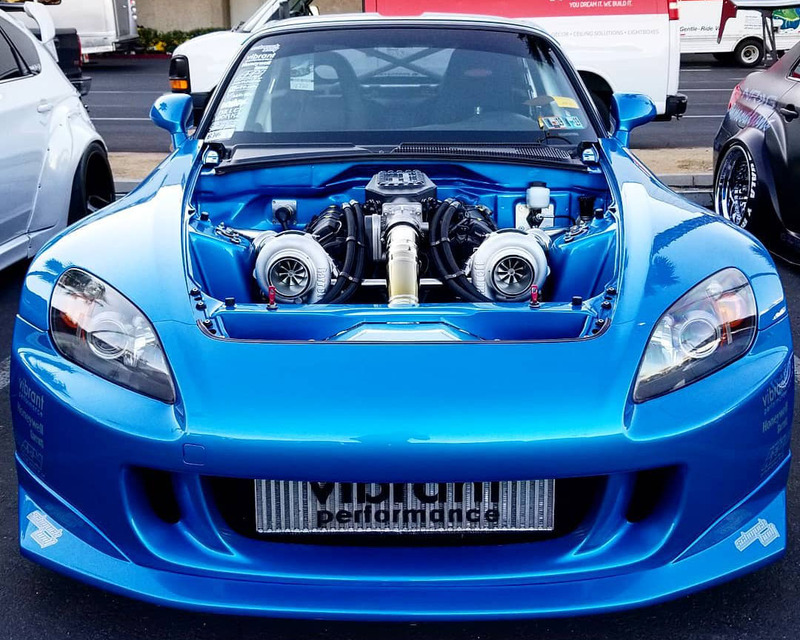 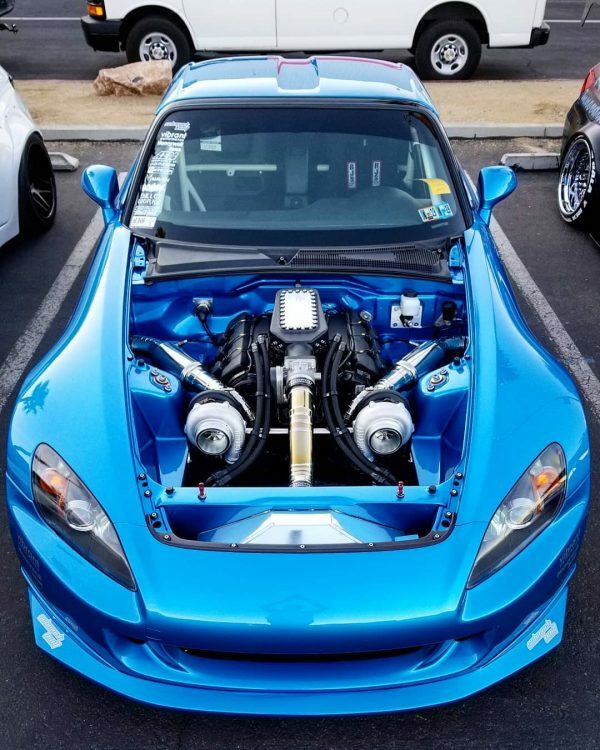 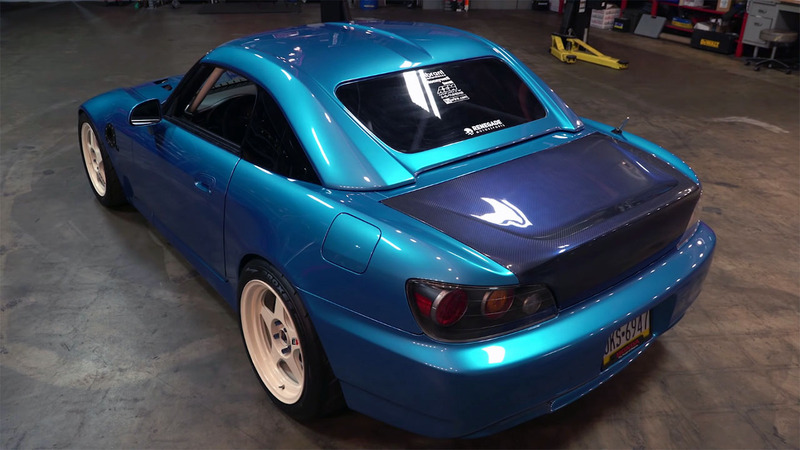 Jason Schmuck spent a lot of time and effort building his 2006 Honda S2000 at his company Schmuck Built in Mechanicsburg, Pennsylvania. 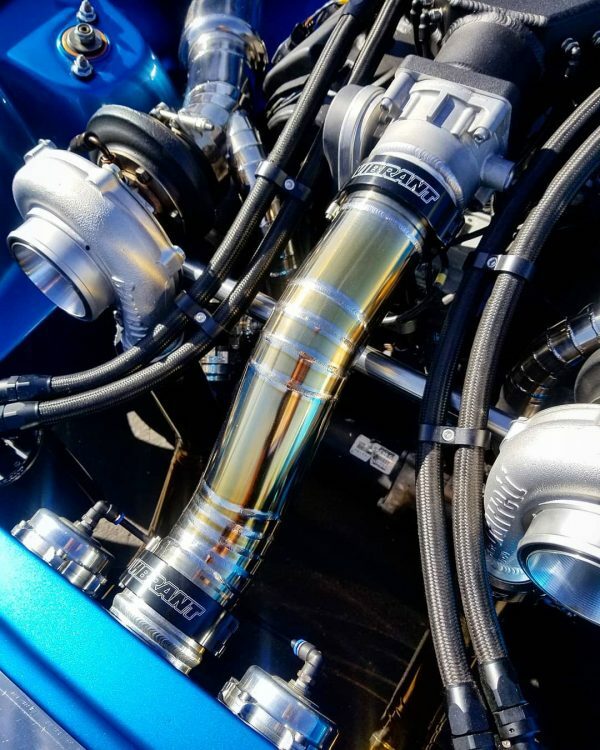 Under the vented hood is a 3.2 L J32A2 V6 from a 2003 Acura TL Type-S connected to two Garrett GTX3576R Gen 2 turbochargers through a lot of custom titanium tubing. 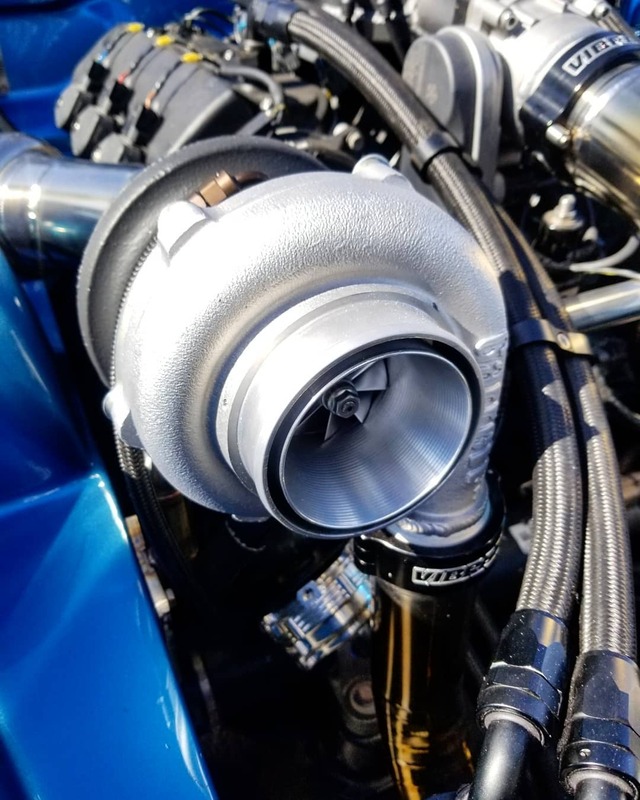 The engine makes 497 horsepower and 390 lb-ft of torque on 7 psi of boost, E85 fuel, and stock internals. 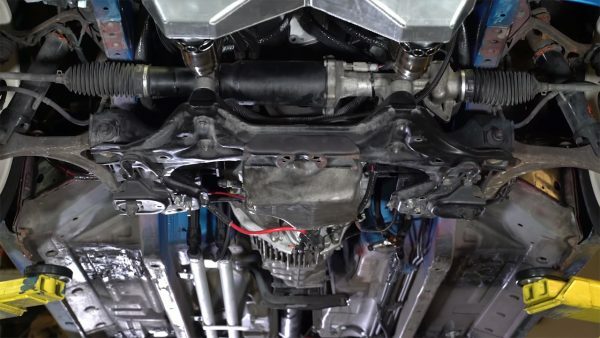 The drivetrain consists of the factory six-speed manual transmission, Ford 8.8-inch rear end, and Driveshaft Shop axles. 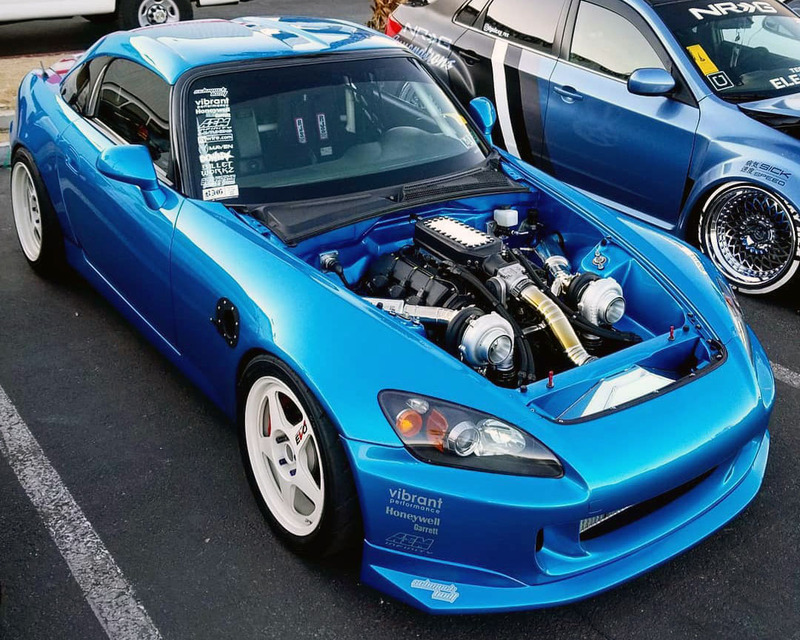 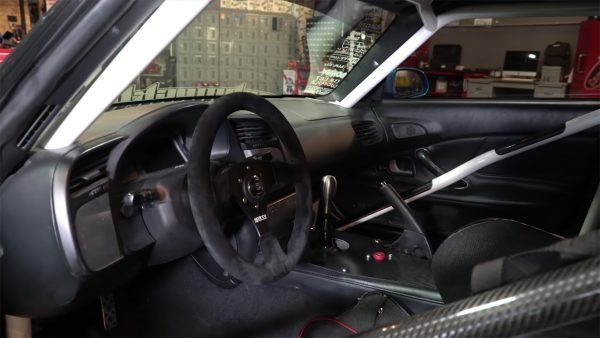 Jason plans to replace the S2000 transmission with a CD009 six-speed transmission before he turns up the boost and takes it to the drag strip next year.